Today’s young adults are the future of our workforce, our economy and our communities. Our goal is to position these young adults on a good pathway to a rewarding career, as we recognize that confident, aware and skilled youth contribute immeasurably to a stronger community. We continue to partner with community agencies to help put young adults on the track to success. We’ve teamed up with a number of other organizations to support workforce services intended to help young people from ages 14-21 gain academic and carer goals and eventually join the workforce. Both in- and out-of-school youth receive tutoring, job readiness and retention training as well as paid and unpaid work experiences with local businesses. 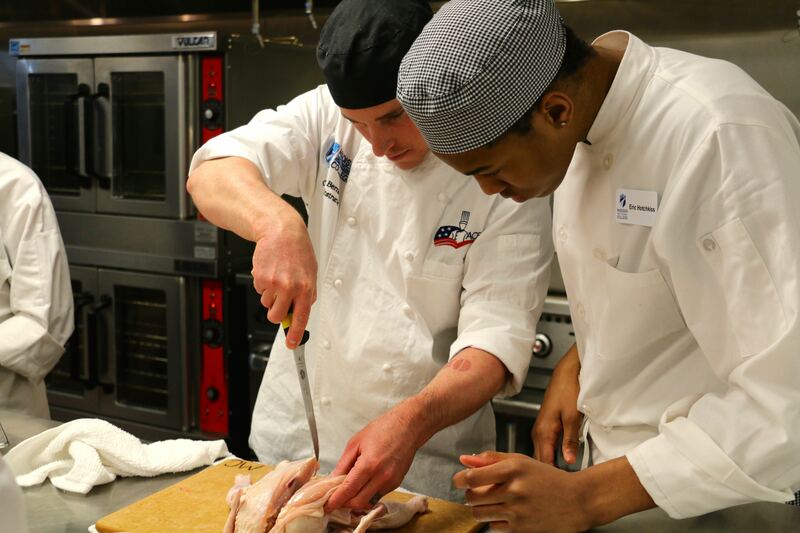 Middle College is an early college workforce development initiative designed to prepare low-income junior and senior high school students in South Central Wisconsin for careers in culinary, healthcare and advanced manufacturing. Students engage in technical college training during the school year and apply their skills and concepts in a real world setting during a summer work experience with a partner employer. The program is a collaborative effort with Madison College, Moraine Park Technical College and participating high school districts. We’ve teamed up with a number of state and community organizations to provide a series of services intended to help young adults from ages 18-21 pursue their academic and career pathway goals and enter the workforce. The WorkSmart Network’s Young Adult (out-of-school) services offer eligible young adults assistance in career advising, tutoring, job readiness and retention training, as well as work experience placements to help prepare them for success in their career pathway. The program is available with funding from the Workforce Innovation and Opportunity Act (WIOA). For more information, visit the WorkSmart Network page.